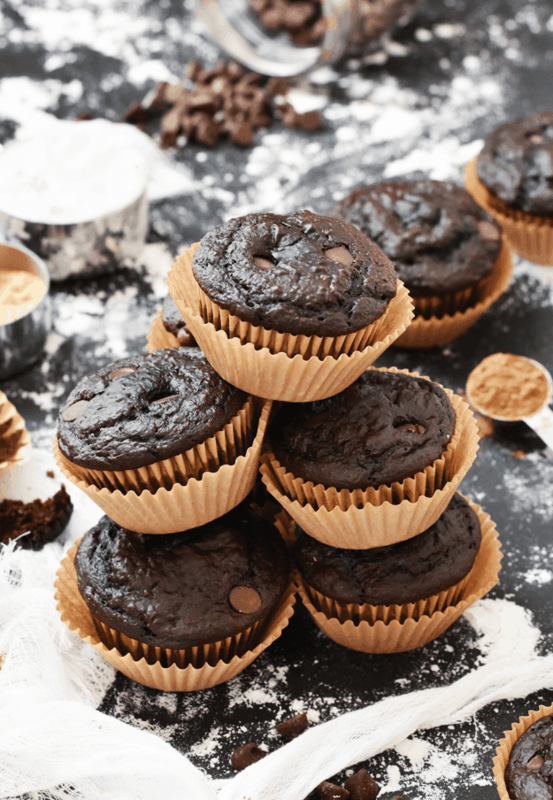 When you’re in the mood for chocolate cake but want something more nutritious and not full of sugar, then these healthy chocolate banana muffins (gluten free!) are your new BFF. And they are made in a blender! With no refined sugars! In under 25 minutes! Now I’m your new BFF. Bananas. Obviously. However, you want to make sure you use ripe bananas to get a naturally sweeter muffin. Chocolate chips. To make these truly refined sugar-free, I recommend using these chocolate chips. However, if that’s not something that matters to you, regular semi-sweet chocolate chips work wonderfully. Vanilla extract. I have a viral recipe for homemade vanilla extract in the Instant Pot. 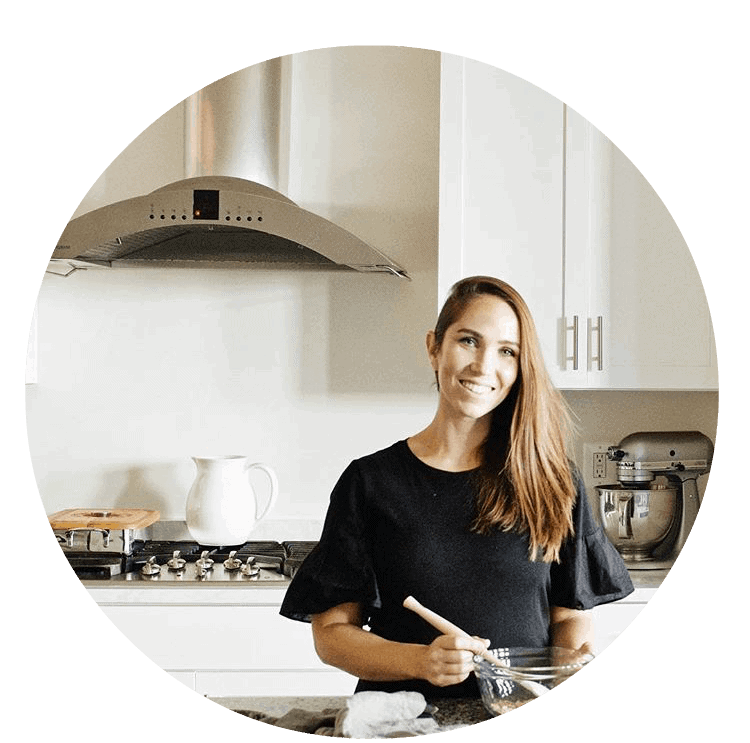 Click here to learn everything you need to know to make it yourself, which is much more cost effective and better quality than buying it. Blender. Why I haven’t been making things in my blender until lately is beyond me. The mess is much less, and it’s simply waaayyy more convenient. If you’re in the market for a high-quality blender and have yet to bite the bullet, I recommend getting a Vitamix. (And no, I am not being paid to say that.) I have the Vitamix Ascent A2500, and it’s awesome. What’s the secret to light and fluffy muffins? DO NOT pulse them more than 10 times in your blender. The less you mess with the batter, the better. You want to mix them until the ingredients barely come together. Make sure you are paying careful attention to how much you pulse them and babysit them while they bake in the oven. 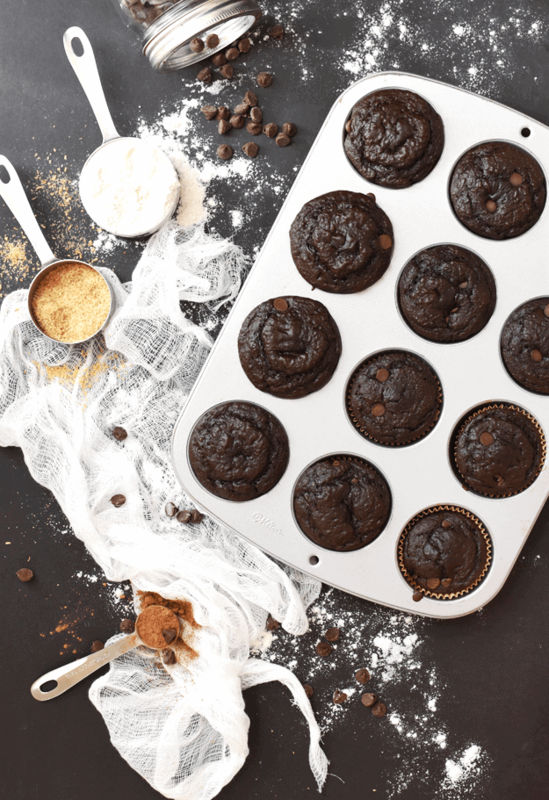 My oven takes about 12-14 minutes to bake these chocolate banana muffins, but yours might take more or less, depending on your altitude and oven. You want a toothpick to barely come clean when checking for doneness. Note that they will continue to set up and bake for a couple minutes after you pull them from the oven, too. Now, quit muffin around and go make these for breakfast for the week. Grab the recipe below and enjoy. 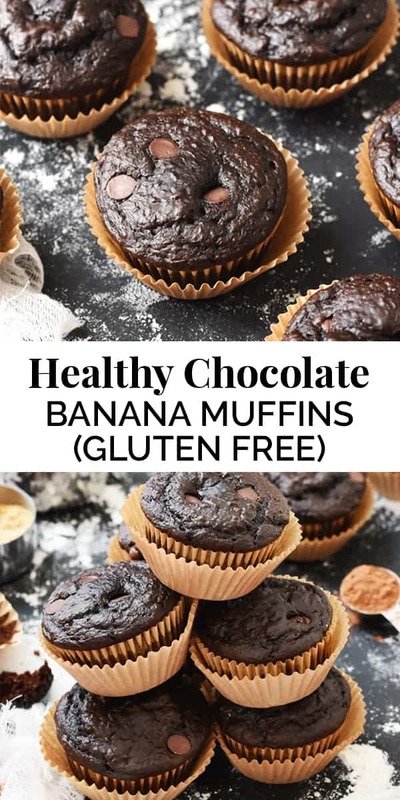 Make these healthy chocolate banana muffins (gluten free) in a blender for a yummy, indulgent, and nutritious breakfast on the go. In a medium mixing bowl, sift together flour, baking powder, baking soda, salt, almond flour, and cocoa powder. Set aside. Pour milk, yogurt, eggs, maple syrup, bananas, and vanilla into a blender. Blend on high speed for 1 minute until ingredients are well mixed and fluffy. Slowly add in the dry ingredients. Pulse 7-10 times until mix comes together. (Make sure not to overmix, or muffins will be tough.) Stir in the chocolate chips. Serve for an indulgent, yet healthy breakfast. Enjoy! 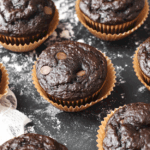 These healthy chocolate banana muffins can be made gluten free or with regular flour. Use 1 1/2 cups of flour if using a non-gluten free flour. The more the ripe the bananas, the sweeter the muffins will be naturally. Hummm I just made these… Are you sure you meant 1 TABLESPOON baking powder AND 1 TABLESPOON baking soda? It seemed like a lot when I was assembling but I double checked that’s what you wrote a couple times and figured it was to compensated for the other ingredients but my finished muffins taste weird and are kinda making my tongue tingle…. :/? Does it have to be whole milk? Can it be almond milk? Yes, absolutely! Sometimes plant based milks won’t make your baked goods as moist though. FYI. I am always on the hunt for healthy deserts! Thank you! Can’t wait to try these! Thanks, Leah! Hope you love them!